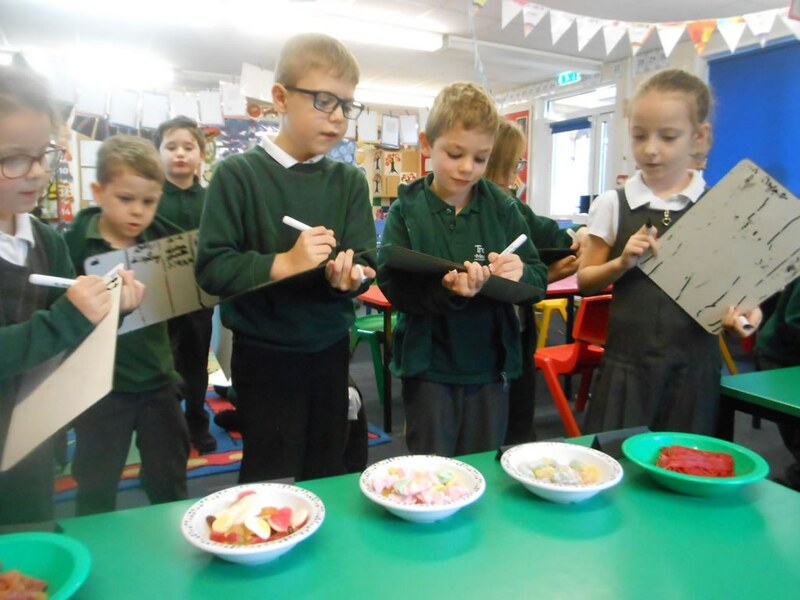 This week we enjoyed hearing the story 'Lost and Found. 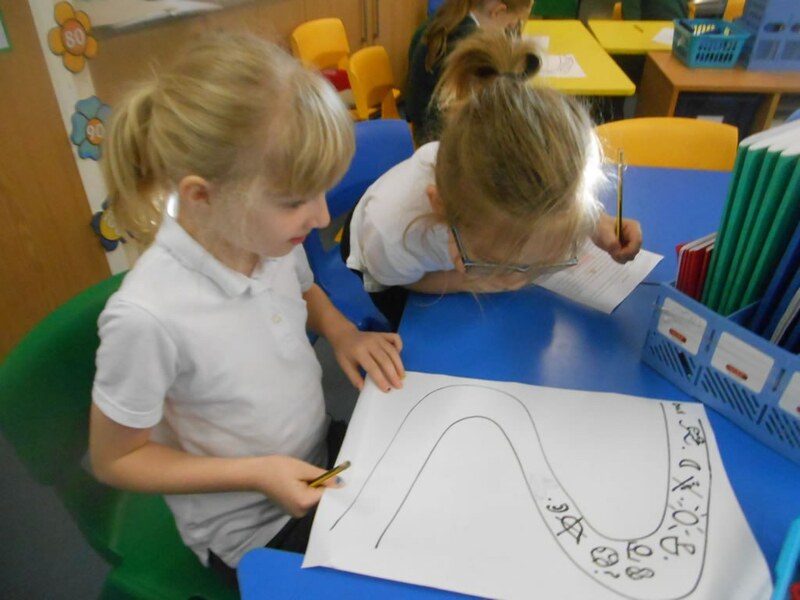 We then used pictures to represent the story and retell it. 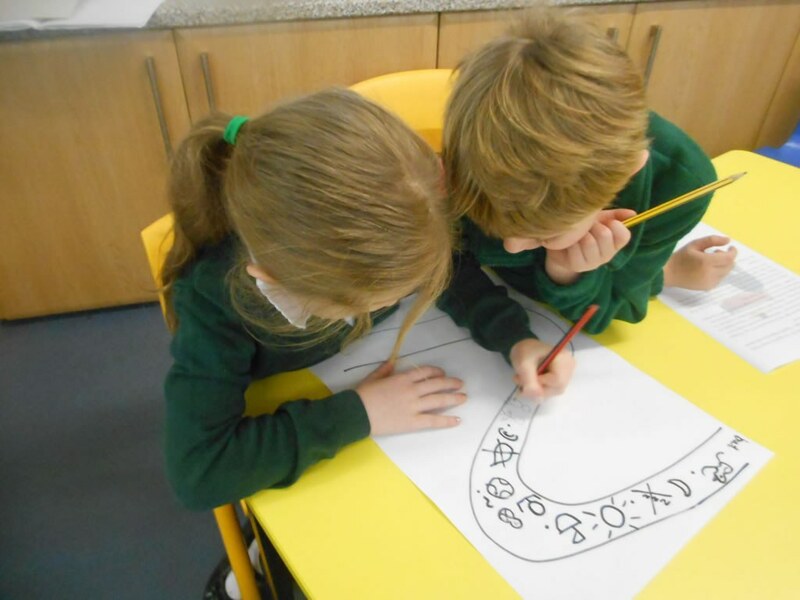 We used used question marks when writing a letter. 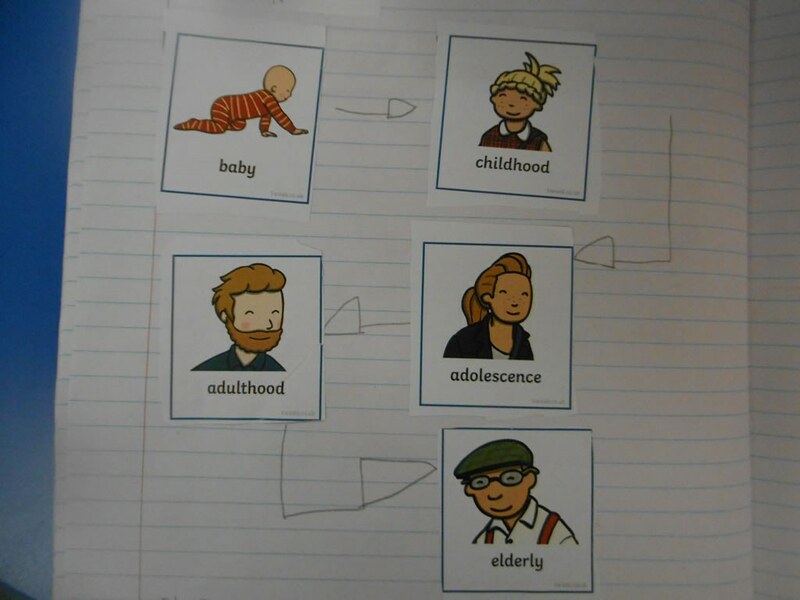 In Science we learned about the life cycle of humans and talked about the changes that happen at each stage of life. 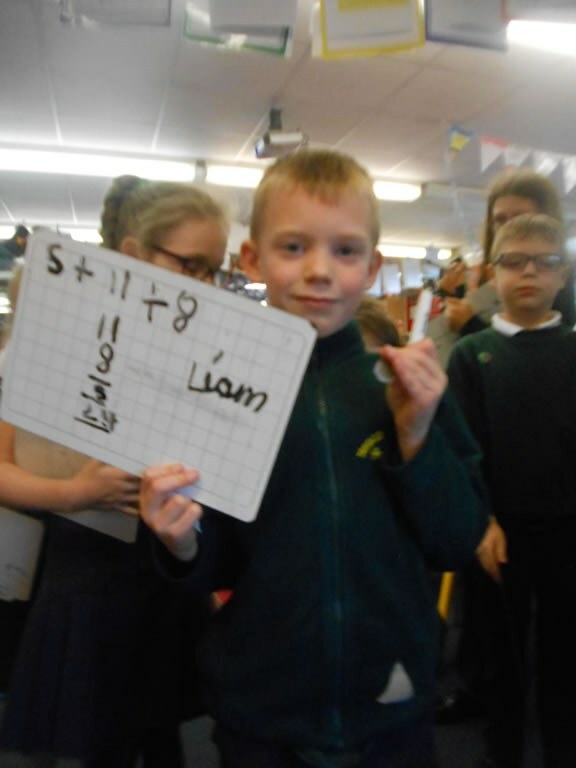 In Maths we have been adding and subtracting amounts. 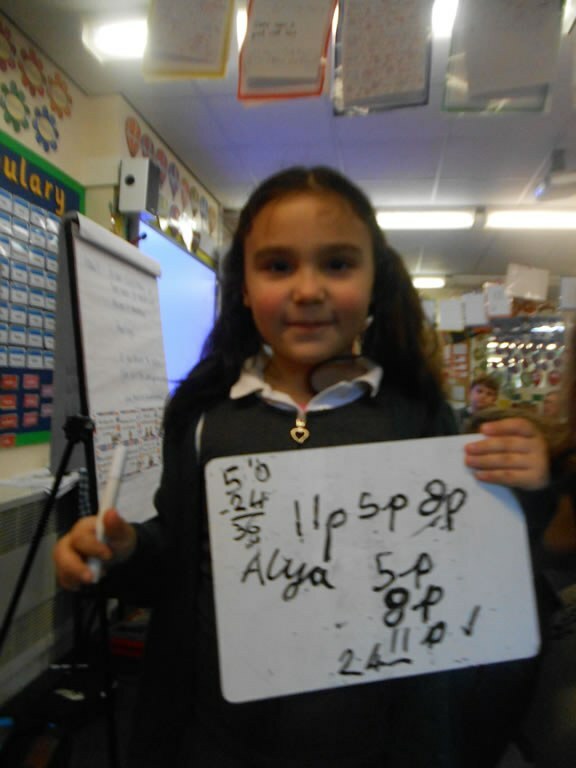 We worked so hard that on Friday we had a sweet shop where we given 50p to spend on sweets. 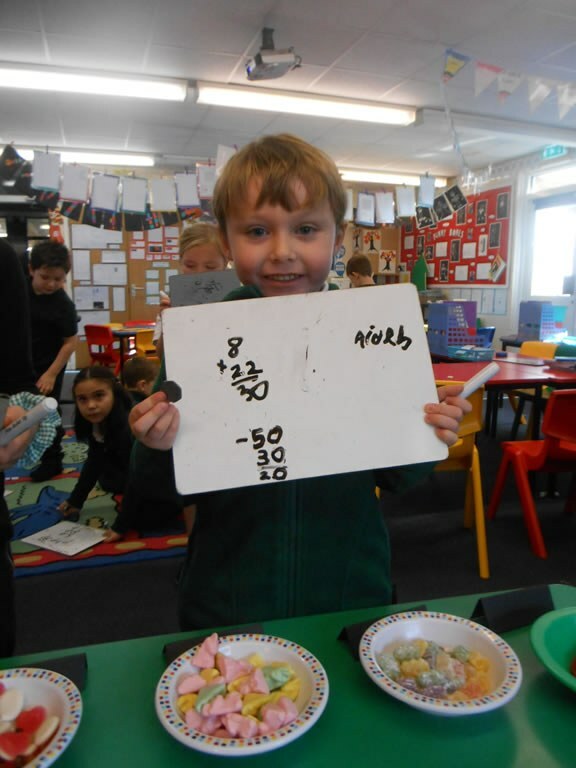 We were able to work out the total of the sweets we would like and work out how much change we would be given. We really enjoyed ourselves.